Very hilly. Extremely steep hill down to access all sites. I scraped my front jacks descending. Our site was a challenge for leveling. Had to raise one side and lower front to lowest possible level. Some travel trailers nearly had their hitches on the ground to level. I dread the climb out. The wi-fi was excellent. No cable tv and very limited antenna reception since campground is in a hole with mountains surrounding. If we return to this area, we will probably look for a nicer campground. We camped at Leisure Acres Campground, Inc in a Fifth Wheel. Be sure to visit Helen, GA Alpine Village and grab some great German, Austrian food. Had a full HU 50 amp site. Had to use levelers as gravel site was not level. Owner lives on site and was very nice and gracious. He walked me to the site and made suggestions. Did not take time to tour the Campground but it appeared very nice. Close to interstate , fuel and food. A great location. We camped at Fern Lake Campground in a Fifth Wheel. Lots of potential here. Beautiful grounds. Low rating due to management putting me on a muddy up-hill back in. I insisted on another site and was placed next door. Again, an up-hill back-in. Wet, but not muddy. Very difficult to level side-side and had to un-hook so as to raise front of trailer due to incline. I would stay here if for a while but for an overnight, there are many more CGs near with much easier access. We camped at Blackhawk Valley Campground in a Fifth Wheel. We were assigned site 130 but upon arrival, were placed on site 113. Office was closed at 2:00pm and we did not know what to do. A camper helped us locate a host who directed us. Sites are large and deep but a little intimidating to back into due to narrow road and tight turn. Overall, a great park. Quiet, serene, clean with great landscaping. Perfect location only 2 miles from Baldwin Beach Express. Will stay here again. 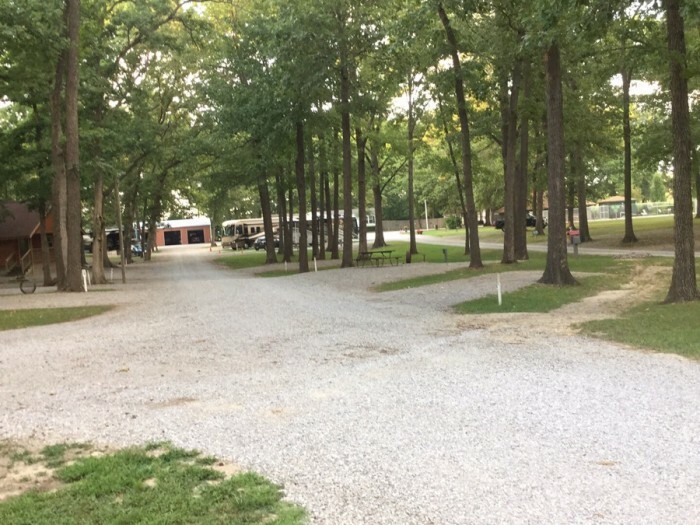 We camped at Emmaus Motor Coach and RV Resort in a Fifth Wheel. Very nice park. Grass sites with nice concrete pads. Quite level. We have been here for 3 previous Good Sam events. Lots of fun and very nice facilities. Great pool and Lazy River float. Though we made our one week reservation months in advance and requested our favorite site, they gave it away and changed it three times. Upon check in, it had been changed again. After complaining to the Parking Host, and office, we found out it was a common practice here. If reserved for less than one month, they can, and will change your site to better accommodate long term campers. A pretty crappy policy in my eyes. It is a long drive to the beach. There are many Campgrounds closer if you choose not to fight traffic or pay tolls to get there. We will continue coming to this area as we love Gulf Shores, but will not camp at Johnny's. Too many nice RV Parks in the area. We camped at Johnny's Lakeside RV Resort in a Fifth Wheel. A sea food lovers paradise. We were disappointed. Very recent KOA acquisition and improvements still needed. Most sites 1/4 minus brown gravel and still quite loose. To exit our pull thru, we had a very steep, gravel hill. Out jack and front of trailer scraped as did my sewer drain boom. The office staff tried hard to accommodate us with a level site. The concrete slab sites were nearly $10 more. We will not return here. We camped at Milton KOA in a Fifth Wheel. Our first stay here. It is a sleeper. Good fishing lake near and ample shopping and eating facilities. Management was very courteous and outgoing. Park is well kept and is beautiful. 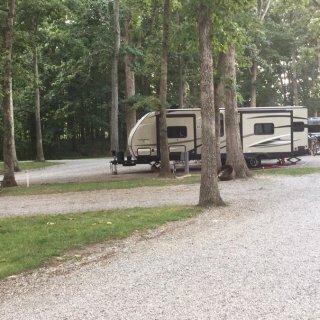 We camped at Whittington Woods Campground in a Fifth Wheel. One of the nicest KOAs I have stayed at. Beautiful grounds, excellent bath facilities, wonderful staff. Only stayed one night but would definitely stay here again. We camped at Oakdale KOA in a Fifth Wheel. Our very worst camping experience. Way over priced, snooty, un-educated teens working the counter. Seemed like their primary objective was to sell us food, etc. we paid and proceeded to our site. New gravel and grading. Nice and large but after numerous attempts, were unable to level. I went to the office and was assigned a new site. Same problem. I was told that all of their sites were newly graded and perfectly level. That the problem was me. I asked for the concrete site across from us that was an additional $15. After refusing, we were assigned a third site in an older area by a shower/bath building. The exit from our current site was so steep with a sharp left turn, I scraped loads of gravel with my front jacks and spun wheels. We spent the night and happily got out of the new KOA, never to return. I hope someday they realize KOA doesn't mean gouge the public and that they get their sites improved. We camped at Milton KOA in a Fifth Wheel. Very nice, clean park. Great staff. We had a long, fifty amp site near the office. Very level, shady but tight. Could not use awning due to tree. 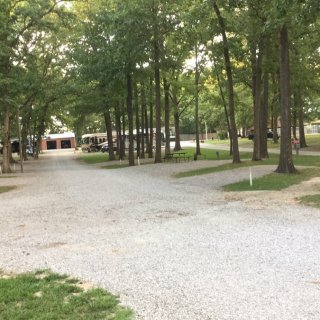 Our third stay here and will stay here again We camped at Clarksville RV Park & Campground in a Fifth Wheel. Beautiful park and sites. Back in was long and level. Grass was long, wet and not cut very often as it was too wet. Great club house and pool facilities. Very responsive management. Location is perfect for restaurants and Gulf Beaches. Would definitely stay her again and recommend it highly. We camped at Johnny's Lakeside RV Resort in a Fifth Wheel. Look for the little out of the way sea food restaurants. They are numerous and very good. Fish River #1 and Shrimp Basket are our favs. You check in with. Cashier in the store. She is also the receptionist and customer service person. So busy on calls, was a very slow check in. The park is close to I-75, but not too noisy. First area north of pond had sights too short for truck and trailer. We chose not to disconnect. Area south of pond had longer sites and we got a great one. Large and level. Only used electric. No cable but able to get lots of channels with antenna. Had good wifi. Would stay here again on a overnight. We camped at Lake Park Campground in a Fifth Wheel. We winter here. Jan. Thru April. Love the park. Many activities and no reason for boredom. The management provides monthly, "Happy Hours." In the club house if bad weather, on The Island if nice. Excellent pool, clubhouse facilities. Horseshoe's, shuffleboard, etc. Lots of French Canadians winter here. Over half the park is Park Models and permanent trailers. If staying short term, ask for a Pull thru. These sites are easy in and out full hookups. Rest of park can be difficult to navigate. 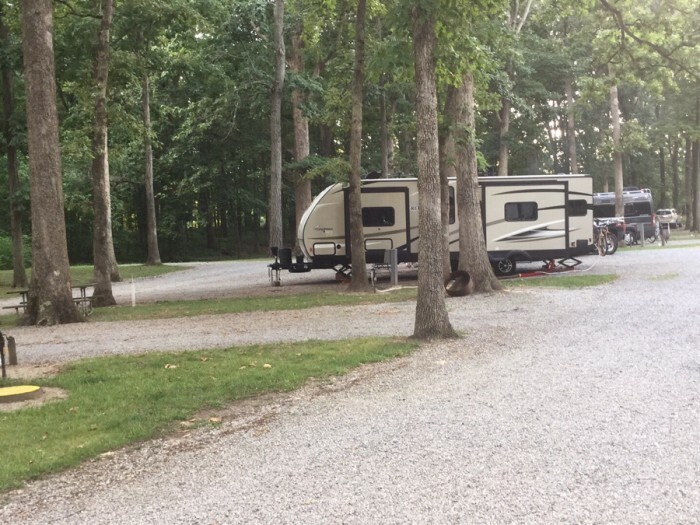 We camped at Horseshoe Cove RV Resort in a Fifth Wheel. Great RV park. Lots of grass and shade trees. Sites being improved with new concrete parking pads gradually. Many already done. Beautiful, huge pool with 3 water slides and a lazy river float. Nice lake with free fishing. Extremely friendly, courteous, and helpful staff. Park recently changed ownership and hopefully, will continue current improvements and good business practices. We would definitely stay here again even though there is an abundance of nice parks in this area. We camped at Johnny's Lakeside RV Resort in a Fifth Wheel.